Controversial Makerere University lecturer Dr. Stella Nyanzi for continually insulting First Lady Janet Museveni, who is also the minister for education and sports-under whose docket the university falls. Courtesy Photo. 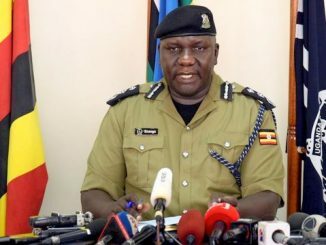 Isaac Ssekamadde, the Lawyer of Makerere University Research Fellow, Dr. Stella Nyanzi has written to the University to drop the disciplinary proceedings against his client. 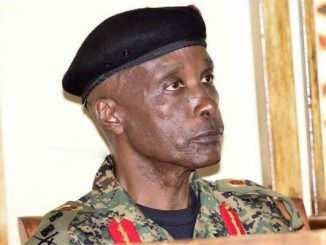 In an April 5th letter to Mary Tizikara, the Human Resource Director Makerere University, Ssekamadde argues that the charges slapped against Nyanzi are inconsistent with the freedom of expression guaranteed in the constitution of Uganda. 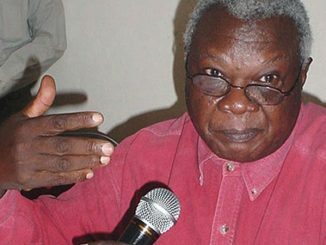 He contends that by attempting to suppress Dr. Nyanzi’s free speech through the un-gazetted university human resource manual as well as the unjustified warning and suspension, the appointments board has failed to appreciate her freedom expression. Fresh trouble for Dr. Nyanzi started last week when she posted a strongly worded message on her Facebook wall criticizing First lady and Education Minister, Janet Museveni for failing to prevail over government to provide sanitary towels for girls in school. As a result, Prof Ddumba Ssentamu, the Makerere University Vice Chancellor suspended Dr. Nyanzi on recommendation from the appointments board. Section 5.7.7 of the Makerere University Human Resource Manual lists offenses that constitute misconduct including use of abusive or insulting language. Mary Tizikara, the Human Resource Director Makerere University couldn’t be reached for comment. But the Vice Chancellor, Prof Ddumba confirmed receiving the letter. “The letter has been written to the university human resource director but I have received a copy. Regarding its content, I have no comment now because it (letter) will be discussed by the university appointments’ board.” Dr. Stella Nyanzi isn’t new to controversy. 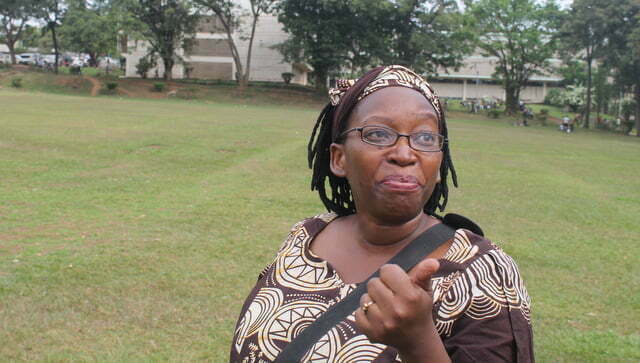 In April last year, Dr.Nyanzi clashed with Professor Mahmood Mamdani, the Director Makerere Institute for Social Research leading to her suspension. It all started after Prof. Mamdani directed Dr. Nyanzi to vacate her office for alleged failure to meet her contractual obligations.